AT SOME POINT, let’s be honest, our small people will get lost in a big shops, wander off on beaches – even the thing they wander off to sometimes wanders off too – they forget to take keys & get wrong buses home. THIS POST is checking if we & our kids are prepared for the inevitable ‘growing up and doing life without mum & dad’. I must admit things haven’t always gone to plan for us & so now I always expect a curve ball! IT’S TRULY the cutest thing to see a toddler recite their name and age, & although at this age we don’t usually let them out of our sight, their brains are developing at an incredible rate, so make the most of it and be proactive with skill building. We need our kids to know how to approach other adults – instead why not show them what kind of strangers they could go to – shopkeepers, supermarket checkout staff & mums with other kids. I felt sick & my heart sank as I went to grab the hands of my 8, 6 and 3 yr olds, only to find that the smallest was missing. Thankfully she did as we had practiced – when we arrive in a shop, I will always show the kids where the checkouts are and remind them how to say their names really clearly. 3– While out shopping show them the checkout in a shop or a meet up spot, so if they lose you they go there first. 4- Where CAN I play and where is my boundary line. Keep a stash of chalk and draw a physical lines for where they can play outside. 5– Always confirm before changing playing out plans & only go in friends houses when you have checked with mum or dad. SOME YEARS AGO one of ours came home from school alone & because there had been some heavy snow, phone networks had crashed & we had no way of contacting him or friends. We eventually arrived home after 2 hours stuck in the crazy British snow traffic relieved to find he had gone to a neighbours house (one on our ‘where to go if things dont go to plan’ homes). 2- A contingency plan if you are not home (believe me it happens). 1st we are walking distance from the school, so first is to go back to school & call us. 2nd is a sequence of houses they were to go to (1st, 2nd and 3rd). 3rd if any of those people are not in, the local grocery store & because they know our name, workplace and phone number they can get hold of us. 4– It’s ok to say no to friends and grown-ups if I havent checked with my mum or dad. A LOCAL LAD recently went missing. The whole community rallied together to find him; he was found miles from his home safe, just hungry and shaken; he had ridden the wrong bus and his phone battery died. It reminded me, WE rely so much on mobile phones but basic protocols are a good idea, as is a tonne of role play – practise while you are out and about, use public transport before they need to go it alone, educate & give clear expectations. 1– Show them how to ride a bus/train and pay for a ticket – teach them how to journey plan & practice paying. 3- Always take ID, more money than you need & house key. 5- Who to call ICE (in case of emergency). 7- Always, always answer calls from mum or dad. 8- We will always come for you if you need us to, because we have never wanted our kids to fear calling us if there’s something they don’t know how to handle. AND SO even when it doesn’t go to plan, our kids can be confident in knowing what to do. 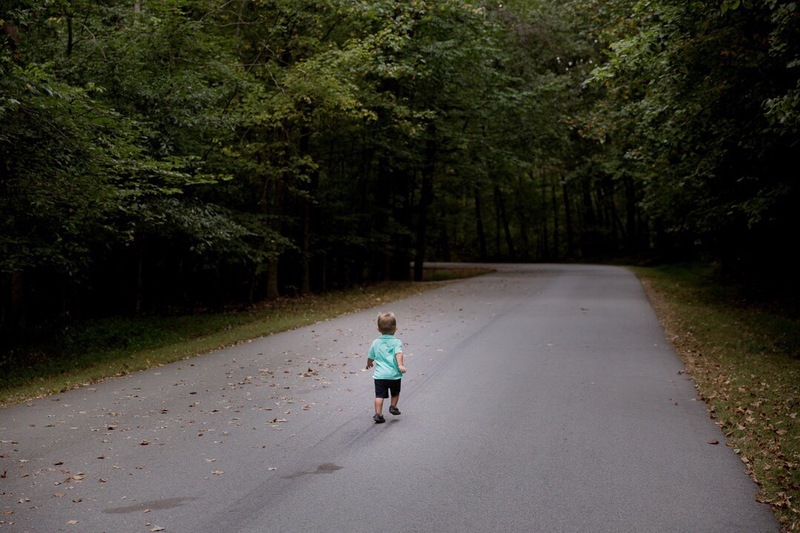 The unexpected is coming, and if WE GIVE our children tools and the chance to make confident choices without us, the unexpected becomes an adventure.